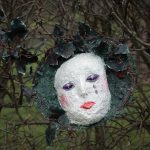 Winter and the New Year is a time of change remembrance and shadows linger from the past. 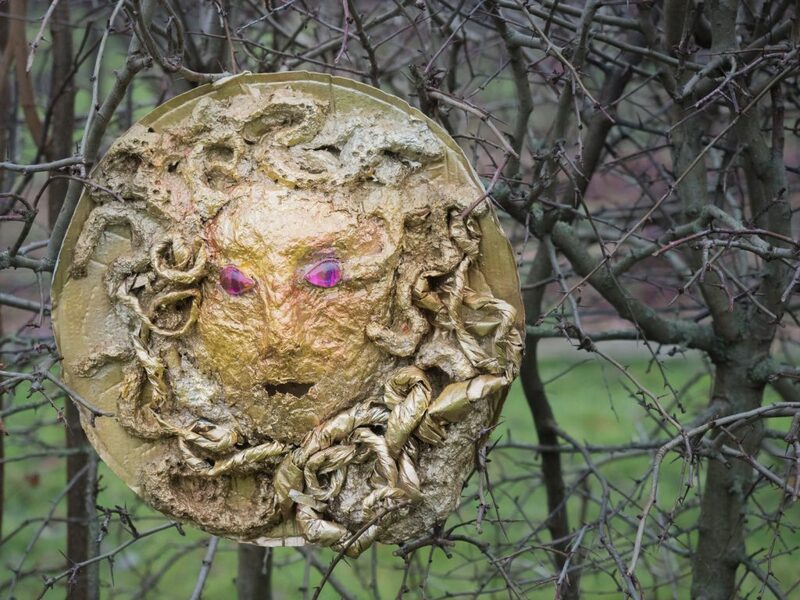 Hall Place, where this project has taken place, is steeped in history myth and legend. 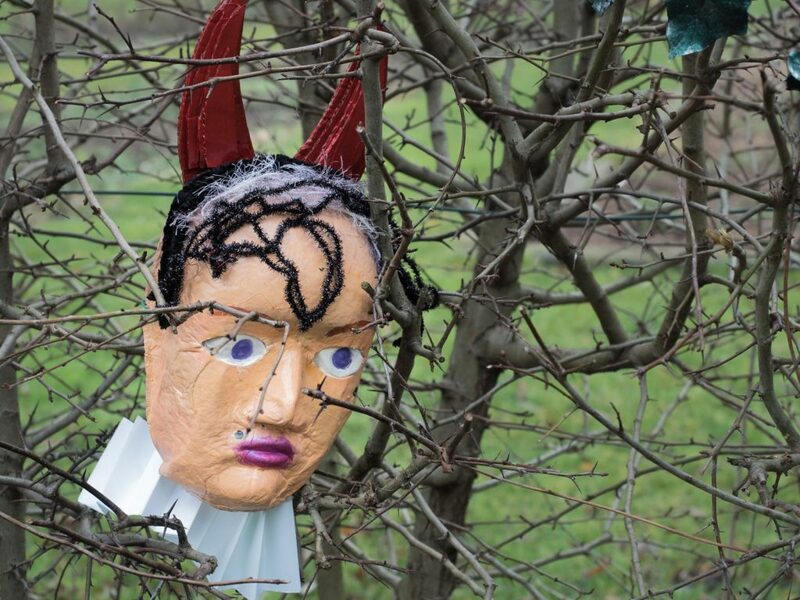 Artists from Centerpieces have gathered together to celebrate the rich legacy and past of Hall Place and reflect on how it inspires current creative activity. 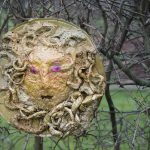 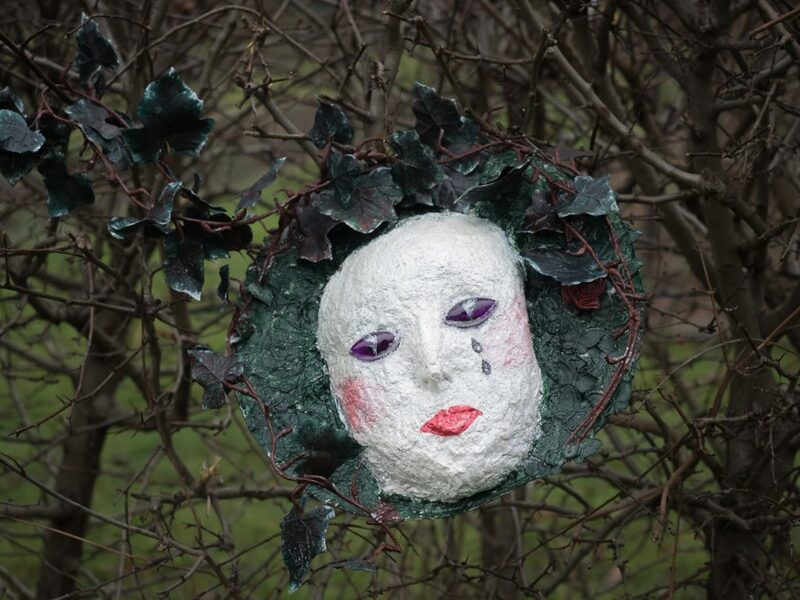 Characters from Hall Place’s past were created, dressing the trees, hedges and arches with masks representing the legendary White Lady, the enigmatic Black Prince and the hedonistic Francis Dashwood! 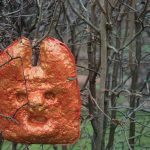 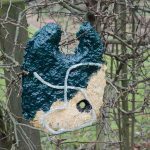 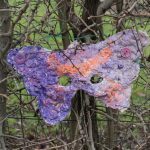 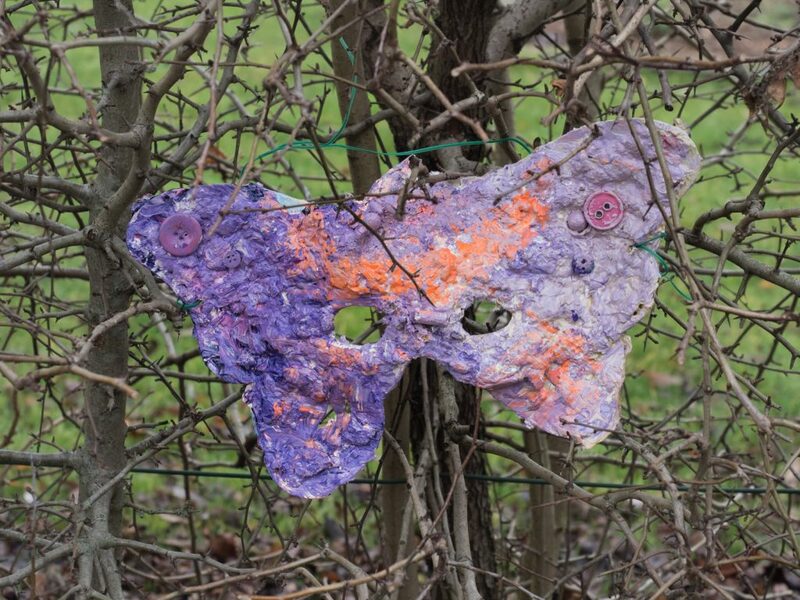 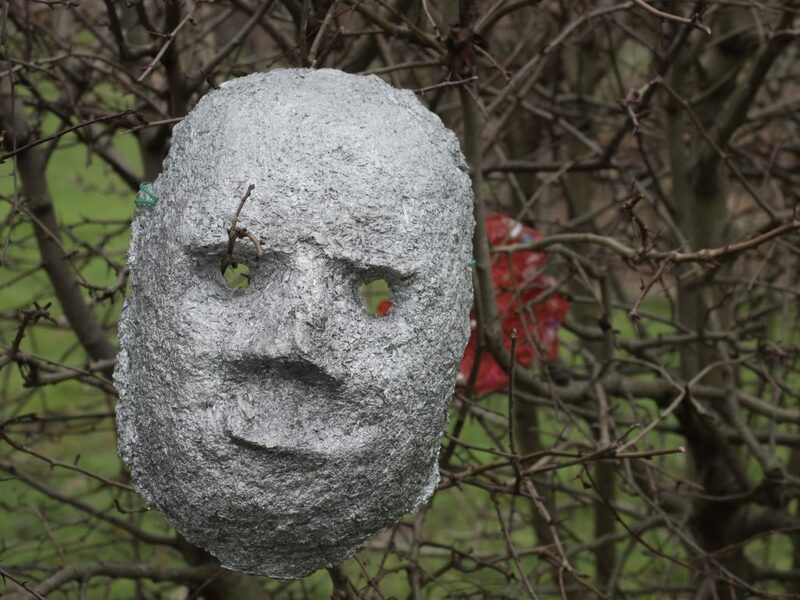 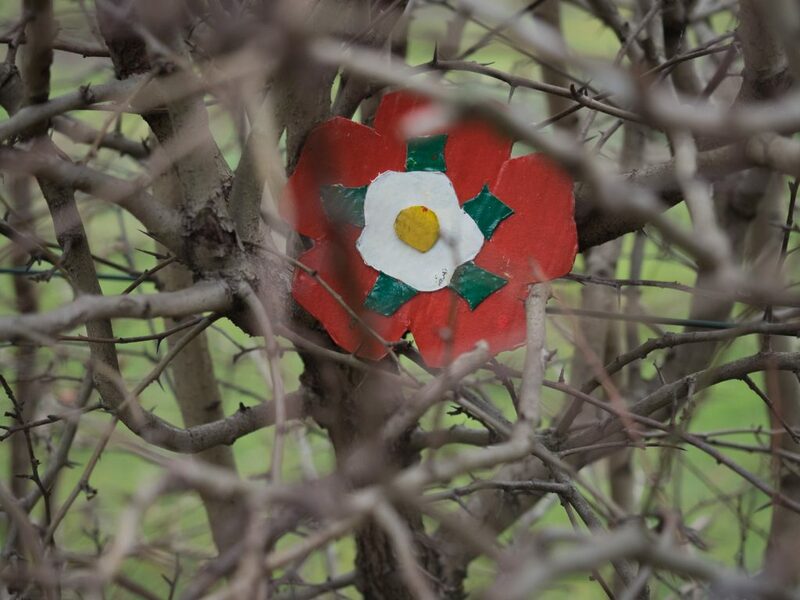 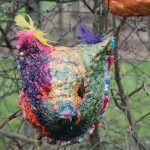 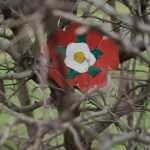 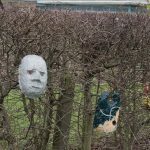 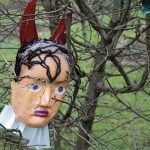 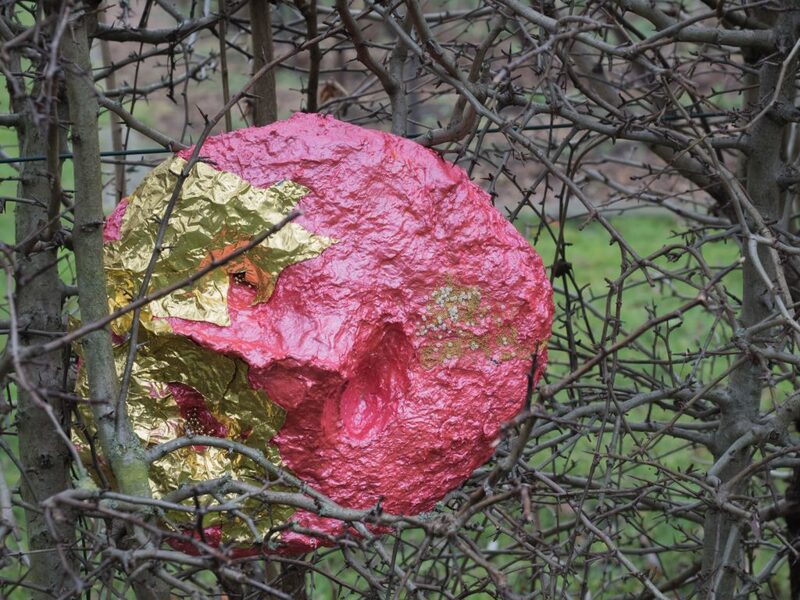 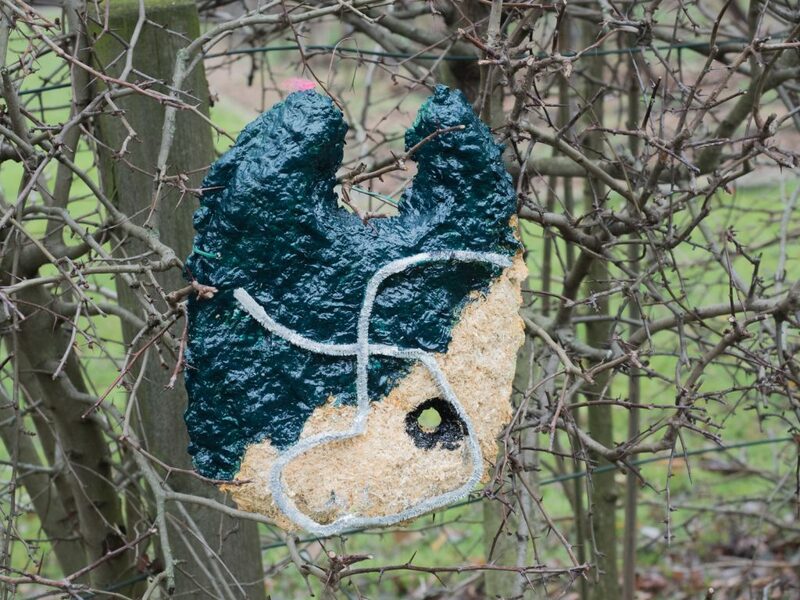 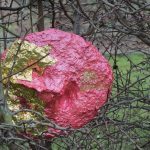 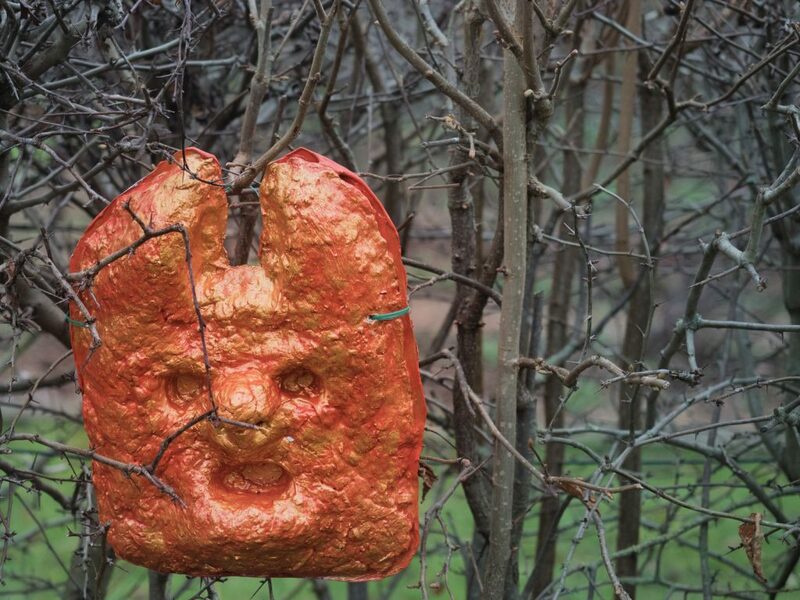 Masks have been created using a substance called paper clay creating characters from the rich past of Hall Place and these are dressing the hedges around the estate amongst the characters from the history of Hall Place. 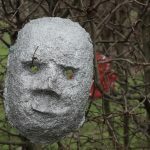 Paper clay consists of natural materials and papier mache, thus creating sculptures which fade into ghostly fragile forms and weathering before fading away. 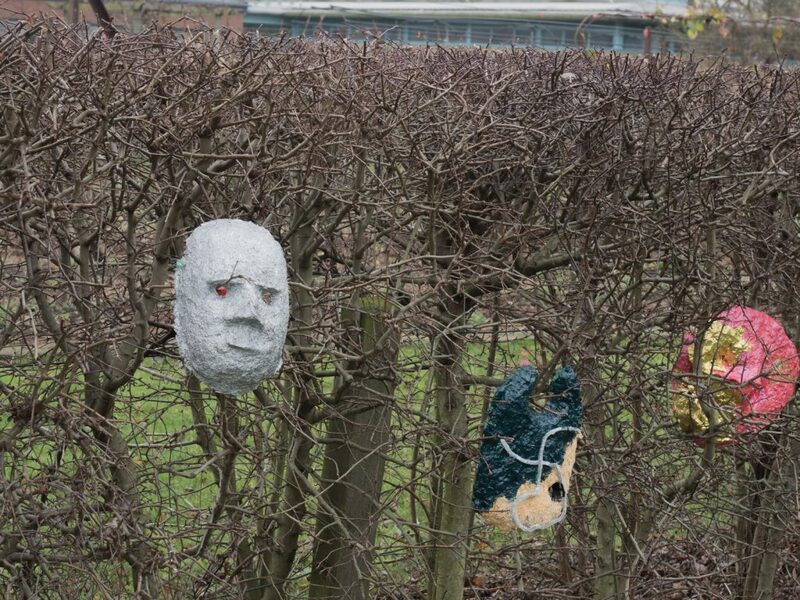 Represented are the legendary ghostly White Lady, the enigmatic Black Prince and the hedonistic Francis Dashwood. 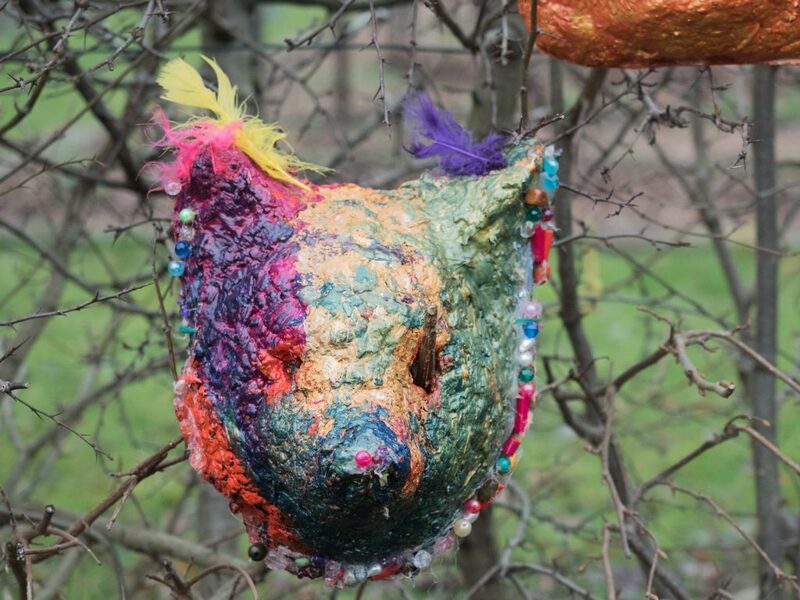 The figures have been painted and are combining natural materials and sculptural paper clay and whisper the past of Hall Place and encouraged the current visitors to Hall Place to be inspired in their creativity.